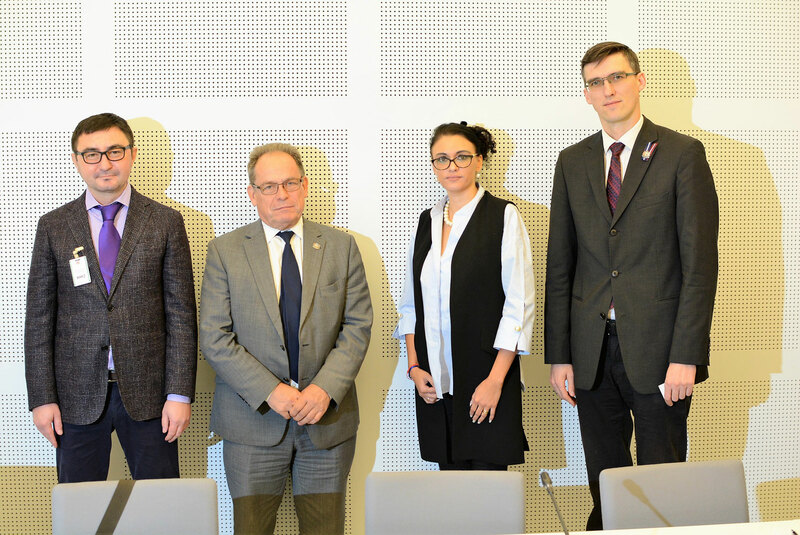 Two persons persecuted in Russia, Igor Sychev and Olga Litvinenko, were heard out recently by members of the Latvian parliamentarian group “For the support of Russia’s civil society”. Igor Sychev, former top manager of Phosagro, was forced to flee from Russia, leaving his family there, after the conflict with the owners of company, closely related with the political elite of Russia. The conflict started after I. Sychev didn’t receive the agreed remuneration for defending Phosagro interests in court. This was dispute of previous court decisions for fines on tax avoidance and the first case in history of Russian court system, when the state paid compensation to the accused company. The parcel of shares of “Phosagro” belongs to billionaire Andrey Guryev, whereas at least 10% of the company shares belong to Vladimir Litvinenko, who was the manager of Vladmir Putin’s political campaign in 2000 and 2004. Olga Litvinenko is the former Member of St. Petersburg’s Parliament, who has been granted political asylum in Poland. She is persecuted since 2011, after conflict with her father Vladimir Litvinenko, a close friend of Vladimir Putin's. Also O. Litvinenko is forced to hide and still fears for her safety. Her father Vladimir Litvinenko reported to the law enforcement authorities about his daughter’s kidnap in which he blamed her former assistants. They were arrested and sentenced due to various falsified criminal cases. Whereas the announcements made by O. Litvinenko, which claim that she is not kidnapped and lives in Europe, were ignored by the law enforcement authorities. The Members of Parliament of Latvia expressed a desire to seek for chances to help every emigrant from Russia who has arrived in Latvia due to being persecuted by the dominant authority, including making the topic about using the “Magnitsky law”, which establishes sanctions to violator’s of human rights from Russia, urgent. Vilums also emphasized that would like to help Russian speaking people to find out information about events in Russia not only from the federal channels of Russia.